“I will argue that every scrap of biological diversity is priceless, to be learned and cherished, and never to be surrendered without a struggle. This week, our Half-Earth Project partner Tompkins Conservation completed the last of their historic 10 million acre national park expansion in Chile, creating Pumalín National Park and Patagonia National Park Chile. 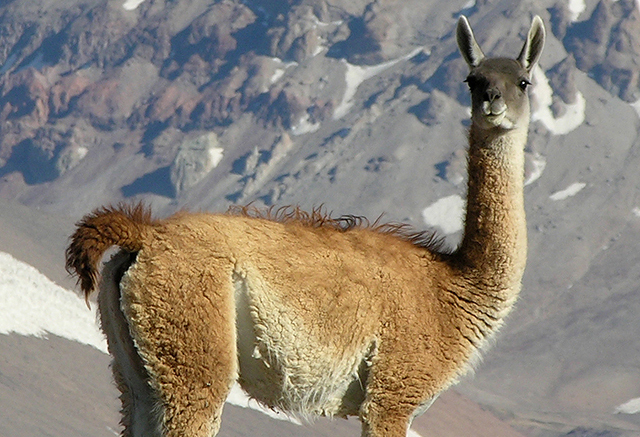 These parks will protect countless huemuls, guanacos, condors and other species, establishing a major contribution to the goal of Half-Earth. Tompkins Conservation’s phenomenal achievement joins other conservation successes over the past year, including the protection of 2 million acres of rainforest in Yagua National Park in Peru, the creation of the largest marine protected area in North America at Revillagigedo Islands Marine Protected Area in Mexico, and the establishment of wetland Lufira Basin Protected Area in the Democratic Republic of the Congo, an area that is roughly the size of Switzerland. The expansiveness of these areas gets headlines, but conservation areas derive their true greatness from the biodiversity they contain and the species that call these places home. By conserving habitat we protect the delicate interaction of species that are fundamental to ecosystem stability and strengthen the resilience of our planet. “Each species is a wonder to behold, a long, brilliant history in itself to read, a champion emerged in our time after a long struggle of thousands or millions of years, best of the best, an expert specialist in the niche of the natural environment in which it lives,” says E.O. Wilson. Yagua is the size of Yellowstone, yet contains 10 times the biodiversity, including birds, monkeys, and fish. Revillegigedo is a “super highway” for rays, sharks, whale sharks, and humpback whales, and supports a coral reef ecosystem with 36 species of endemic fish. Lufira supports numerous endemic species of fish, amphibians and reptiles, and is important to much of Africa’s water supply. Around the world, the places that have magnificent species diversity are threatened by human pressures. These places are losing their sharks and rays, their endemic fish, their amphibians and reptiles, and more. As those species disappear, ecosystems decline, and the health of our planet as a whole is impacted. Each species lost threatens the collapse of the whole. That’s why getting to Half-Earth starts with protecting the lands and seas that contain the most biodiversity. The Half-Earth Project is mapping the fine distribution of species around the world to identify the places where we have the opportunity to protect the highest number of species. Protecting identified species-rich areas will safeguard the bulk of biodiversity, and ensure the long-term health of our planet.